For nearly three decades, the emphasis of Mr. Escalera’s practice has been labor and employment law and litigation. Initially, Mr. Escalera served with the Army Judge Advocate General’s Corps for nine years where he engaged in extensive criminal and civil litigation. Mr. Escalera was last stationed at the Pentagon where he acted as lead counsel for the Army Litigation Division defending the Department of the Army in employment discrimination suits brought by civilian employees in many states. Since 1987 Mr. Escalera has been exclusively defending private and public sector employers in labor and employment matters. Mr. Escalera has defended numerous employment discrimination and wrongful termination suits in various state courts, federal district courts, and United States Courts of Appeal. Mr. Escalera has extensive experience in class-action litigation. He is a frequent lecturer on the Americans with Disabilities Act, sexual harassment, drug testing, wage and hour law, non-compete agreements, effective hiring and management of employees, and avoiding wrongful termination suits. Mr. Escalera received his B.S. degree in history and diplomacy from Georgetown University, his J.D. degree from Washington College of Law, American University, and his Masters of Law degree from The Judge Advocate General’s School. 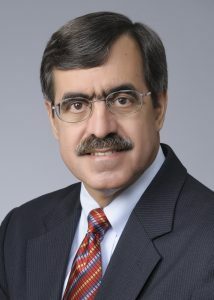 Mr. Escalera is a member of the District of Columbia Bar Association (1981) and the Connecticut Bar Association (1991). Mr. Escalera is a member of the American Bar Association, the American Employment Law Council, and the Connecticut Hispanic Bar Association. Mr. Escalera was an Adjunct Professor at Rensselaer Graduate School from 1997 to 2001, where he taught a course on employment law to MBA candidates. Mr. Escalera was also an Adjunct Professor at the University of Connecticut School of Law from 1995-1997, and has served as a moot court judge for the law school. Mr. Escalera was a member of the Oliver Ellsworth Inns of Court from 1997 to 1999. Mr. Escalera has served on the Board of Directors of Leadership Greater Hartford (1995-1999), the Hartford Food System (1995-1999), and served as President of the Hartford Food System for three years. Mr. Escalera was a recipient of the Leadership Greater Hartford 1994 Community Leadership Recognition Award. Mr. Escalera participated as a youth soccer coach from 1991 to 2008. In 1999, the Connecticut Bar Foundation selected Mr. Escalera to be named as a James W. Cooper Fellow in recognition of his legal work and service to the community. Mr. Escalera served on the Board of Directors of the Metropolitan YMCA of Greater Hartford from 2002-2004. Mr. Escalera has been a member of the Board of Directors of Family Life Education since 2014 and serves as its Treasurer. Mr. Escalera is co-author of “Nonreferral Unions and Equal Employment Opportunity,” Report of the U.S. Commission of Civil Rights, March 1982; “Americans With Disabilities Act Enforcement,” ABA Committee on Corporate Counsel Newsletter, May 1995; and “The Proper Response: Accommodating Employees with Mental Disabilities,” The Connecticut Law Tribune, August 18, 1997; “How to Accommodate a Mental Disability,” CBIA News, September 1997; “Pre and Post-Employment Testing,” Council on Education in Management, June, 1998; “It’s Not Just Why You Fire; It’s How,” EPPA Exchange and H.R. Today (on-line magazine), July 1998; “The Role of Healthcare Providers in ADA Compliance,” Healthcare Review Magazine, June 2002; “Rx to Employers on Requests for Accommodation,” The Connecticut Law Tribune, January 22, 2007. In every year since 2005, Mr. Escalera has been selected to be listed in The Best Lawyers in America in the practice areas of Employment Law – Management; Litigation – Labor and Employment Law. Mr. Escalera has also been selected as a Connecticut and New England Super Lawyer®: Employment and Labor and Management Defense – Litigation in every year since 2007. In addition, he has received a peer review rating of “BV Distinguished” from Martindale-Hubbell.